Restrictions on free-flowing airport booze? The US Federal Aviation Adminstration (FAA) deals with around 150 air rage incidents every year and over the past 20 years has had to take action against more than 4,000 passengers. Britain’s Civil Aviation Authority reported 114 air rage incidents (many fueled by alcohol) in the UK in 2014, up from 85 in 2013, 47 in 2012 and 39 in 2011 according to the Daily Mail. It’s become so bad that the British Air Transport Association is now putting pressure on airport sales of booze. “Passengers are responsible for their own behaviour, but airport bars and duty free shops can play their part by making sure they sell alcohol responsibly,” said Nathan Stower, the association’s CEO, in The Telegraph. As incidents like this increase, I’m wondering if we’ll soon see efforts to cut back on the “open bar” concept at airport lounges, because it seems that many of these incidents begin at the airport, and then play out on board. I also wonder what effect restrictions on free-flowing airport booze may have on the burgeoning business of airport lounges. To help understand, I asked Tyler Dikman, the founder of the popular Lounge Buddy app about this. Here’s our Q&A. 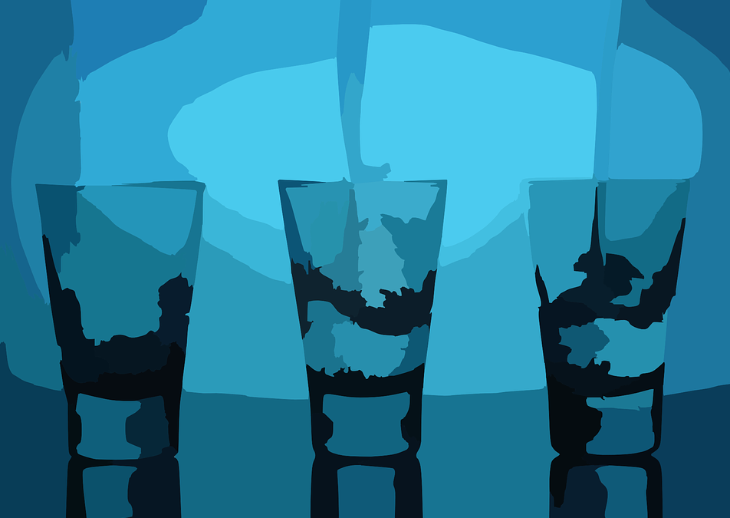 Q: Are there regions where “open bar” is more prevalent/less prevalent or illegal? LoungeBuddy: In some parts of the world, where alcohol consumption is not the accepted norm due to religious reasons, you may find far fewer open bars at airport lounges, or even a complete ban on alcohol sales and distribution. In general, most lounges around the world feature open bars with unlimited well drinks. 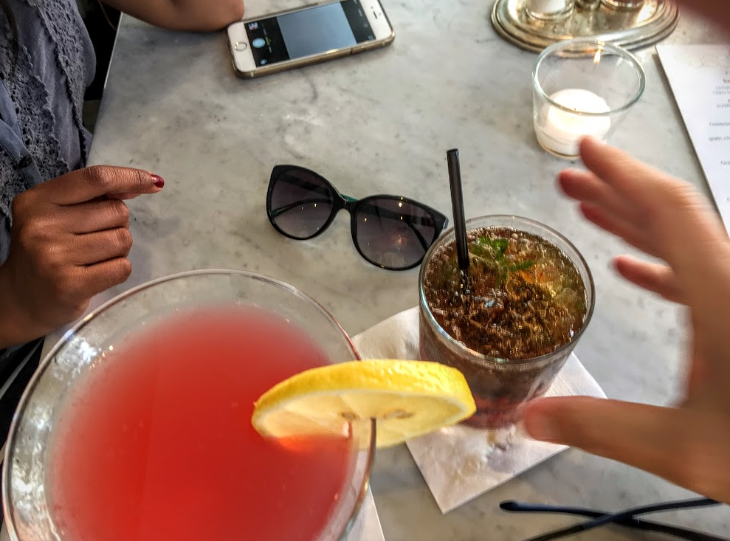 Self-serve open bars are typically found in Europe and Asia, where high-end lounges are more prevalent, and there is less stigma against drinking. International airlines that operate airport lounges in the US, such as British Airways and Emirates, continue to provide self-serve open bars. 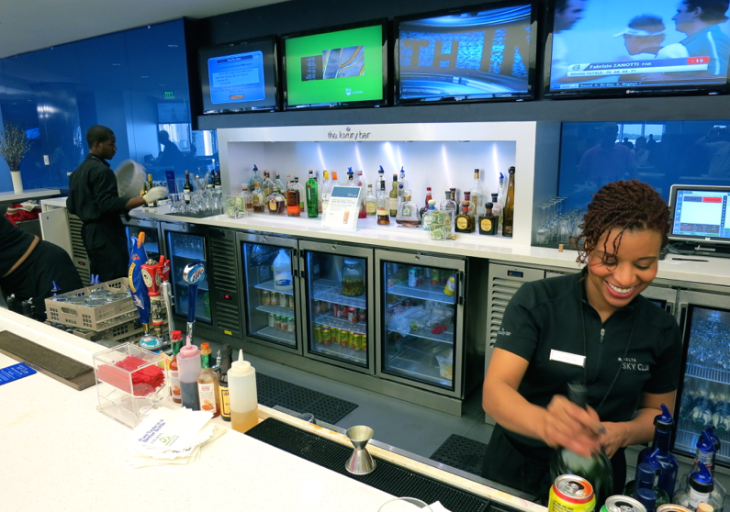 While virtually all US airline lounges now have open bars, only a select few feature self-serve bars, such as the United Global First Lounges and American Airlines Flagship Lounges. Q: Do you think that airport clubs may resort to more controlled “bartender only” drinks? Why or why not? Internationally, we actually see the opposite. Upscale lounges such as the newly renovated The Wing First Class Lounge at HKG now feature a self-serve champagne bar. We see a continued liberalization of the self-serve alcohol policy across Europe and Asia, as well as Australia. In the US, domestic lounges remain tight-fisted with alcohol, keeping bottles behind the bar, and even charging extra for premium beer, wine, and spirits. We don’t see this policy changing in the near future. The short answer is no. With hundreds of millions of passengers passing through airports in the US each year, the likelihood of encountering the few bad eggs will of course increase. Air rage incidents can occur anywhere, and we’ve seen reported spikes in the UK, China, and other countries. Most of this, of course, can be attributed to the overall increase in passenger traffic over the past decade. Q: How valuable is the “free” cocktails component of club membership? We find that most travelers who purchase club memberships typically value comfort, privacy, and convenient business amenities the most. However, complimentary beer, wine, and cocktails are certainly a very popular aspect of the airport lounge experience as well. In terms of value, if you consider that a typical cocktail at an airport bar costs approximately $15 including tip, then just two to three drinks in an airport lounge can represent the cost of a standard one-time entry pass ($35 – $50). With an annual lounge membership, the value of these free drinks can be even greater. Of course, we don’t recommend purchasing a membership for the sole purpose of overindulging in alcohol at the airport lounge. 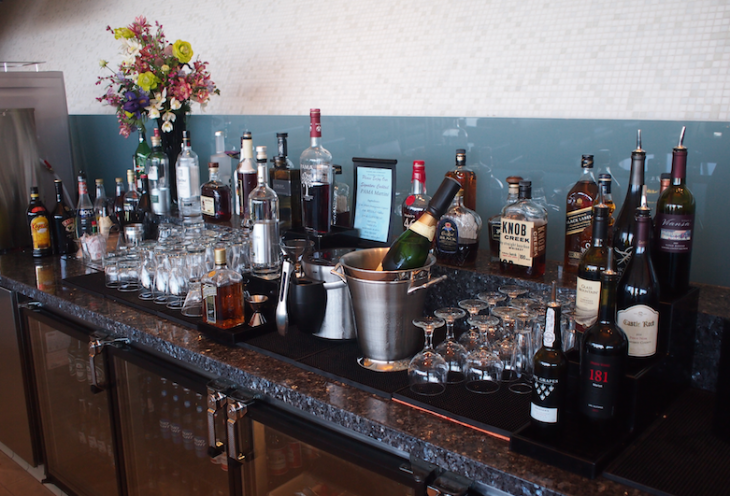 However, we do find that alcoholic beverages remain one of the most popular amenities inside the lounge. What do you think? Should airports restrict booze sales? If so, how would that impact your decisions around airline lounge use? Please leave your comments below.